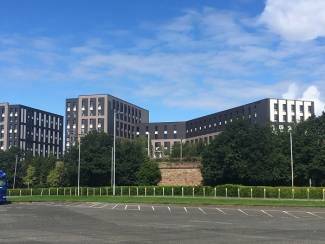 Ogilvie Construction has successfully completed a £33 million student residence in Glasgow’s West End on behalf of Bricks Capital for their ‘true’ student accommodation brand. Built on the site of former warehousing at Kelvinhaugh Street, the 589 bedroom facility consists of three separate blocks of between 5 and 9 storeys constructed above a semi basement parking space. One block was created using traditional steel and lightweight steel framing, with the other two blocks built using a volumetric modular container system pre-fabricated and fully fitted out off-site and assembled on arrival in Glasgow. Ogilvie Construction is part of the Ogilvie Group, one of Scotland’s most consistently successful family owned businesses. The company is over 60 years old and employs over 400 people across its various business operations. 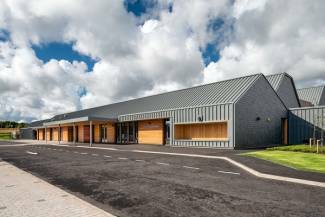 As well as functioning as a school, Orchard Brae will act as a community hub for families, ASN parents / groups and charities to access, as well as a hub for outreach services such as speech, language and autism support. The innovative development will also provide a new resource centre for ASN teaching and training and a multi-agency facility for health, education, social work and family support. Orchard Brae school boasts a swimming pool, a hydrotherapy pool, soft play and sensory rooms, wildlife and growing gardens and specialist art and home economic areas as well as specially designed play areas. Adjoining the school is the pioneering Howes Hoose which supports pupils to learn about independent living, with a bedroom, kitchen and living space where the children can develop life skills in a home setting. 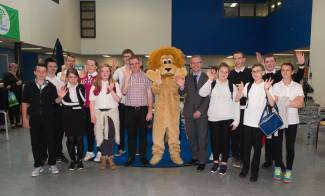 Kids from Carrongrange School in Falkirk managed to raise £620 for Five Sisters Zoo in West Lothian with support from Hub East Central Scotland and Ogilvie Construction. The pupils arranged a coffee morning event which raised £120 and hub ECS and Ogilvie, who are constructing the new Carrongrange school building, each donated £250 to support the initiative. The new school building is due to open soon and will offer 190 pupils a state of the art learning environment. Five Sisters Zoo is non-profit enterprise with a collection of over 180 different species of mammals birds and reptiles. A large part of the zoo’s focus is to provide a home for three bears and four lions who were rescued from lives performing in travelling circuses. Ogilvie Construction has achieved its fourth successive Gold Award from the Royal Society for the Prevention of Accidents (RoSPA) in this year’s Occupational Health & Safety Awards. The award was achieved during a special year for the family-safety charity, as it celebrates its centenary. 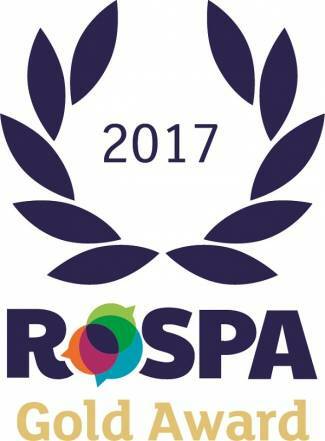 Julia Small, RoSPA's head of awards and events, said: "The RoSPA Awards are the most prestigious in the world of occupational health and safety and held in high regard around the world, as winning one demonstrates an organisation’s commitment to maintaining an excellent health and safety record. Achieving the standard required is no mean feat. Ogilvie Construction is part of the Ogilvie Group, one of Scotland's most consistently successful family owned businesses. The company is over 60 years old and employs over 400 people across its various business operations. Take a looking at this amazing time-lapse footage of the progress being made over the last 15 months on Ogilvie's Motel One project - soon to be Scotland's biggest hotel. 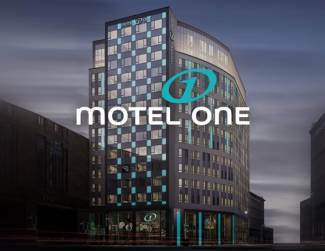 Ogilvie Construction has reached a milestone in the construction of the new £22 million hotel for Motel One Group in Oswald Street, Glasgow, with the completion of the roof deck and concrete frame. 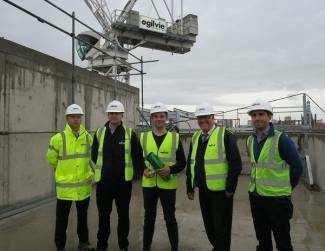 Members of the construction and design team celebrated the achievement with a “topping out” ceremony on the roof of the new building. With 374 rooms, the new hotel will be one of the largest in Scotland and the first in Glasgow for the European budget designer brand. It will open in 2018 and combines high quality product design with an excellent location and attractive pricing. The Glasgow project is Ogilvie’s second for Motel One after the company built the prestigious Motel One hotel building on Princes Street in Edinburgh, which opened in 2014. 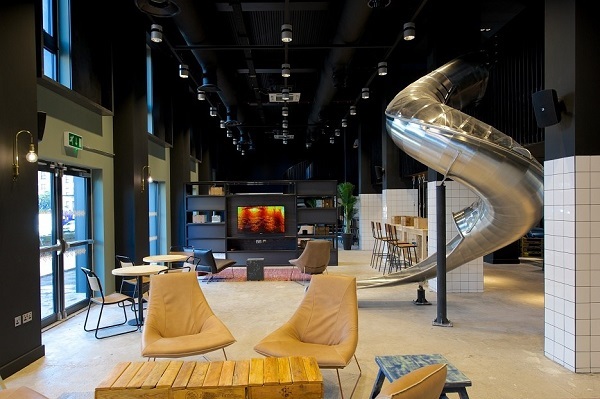 Motel One operates 56 hotels across Europe with more than 15,165 rooms and has ambitious plans to expand their network to 74 hotels with 18,000 rooms. Ogilvie Construction is part of the Ogilvie Group is one of Scotland’s most consistently successful family owned businesses. The company is over 60 years old and employs more than 450 people across its various business operations in the UK. 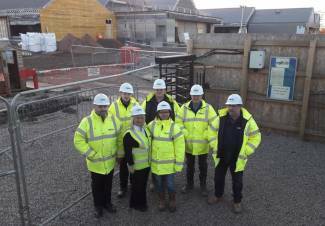 Ogilvie Construction has been awarded a £4 million contract to build 40 new homes in Dundee for Hillcrest Housing Association. The development will create new social housing for the city on vacant land on Eliza Street and comprises 36 flats and 4 semi-detached homes. Work is due to start on site at the end of July and complete in summer 2018. All the homes will be built to the Greener Homes Innovation Scheme standard using modern sustainable construction methods and creating fuel efficient homes that reduce energy bills. Ogilvie Construction is part of the Ogilvie Group, one of Scotland's most consistently successful family owned businesses. The company is over 60 years old and employs over 450 people across its various business operations. Construction Director Bob Gray is running three marathons in just five weeks to raise funds for The Prince & Princess of Wales Hospice in Glasgow. Starting with the London Marathon on the 23rd April, Bob will also run the Stirling and Edinburgh Marathons in the following weeks. Bob’s sister sadly passed away in November 2013 from cancer and charities like TPPWH give fantastic support to the patients, as well as their family and friends. The hospice looks after 1,200 patients every year and relies on more than £3million in donations to maintain this level of care. To support Bob’s efforts, you can donate via his Just Giving page here. Any donation, large or small, will be greatly received and help the hospice to continue its fantastic work. Ogilvie Construction are delighted to be working with Robert Gordon University to offer industry work placements to some of its students. The article below from the RGU website explains more about the scheme and how construction companies can help to fill the skills gap. Robert Gordon University (RGU) has teamed up with a Scottish construction company to offer students paid employment opportunities. Ogilvie Construction Ltd is currently hosting Stage 2 Construction Management student Patrycja Linka to give her valuable paid work experience relating to her studies. Former-Construction management subject leader at RGU, Rob Leslie, is urging more companies to follow the example in order to help tackle the skills shortage the industry is facing and ensure students have extensive practical experience to complement their qualification when they graduate. RGU already works with a wide variety of companies to provide students with a placement opportunity during their third year, which often leads to longer-term employment. 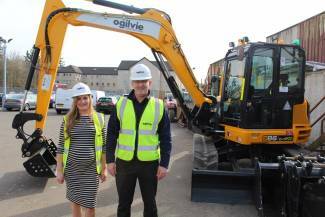 Ogilvie Construction has invested £65,000 in two new excavators as part of a programme to upgrade machinery to meet growth plans. Groundworks Manager, Robbie Reilly and Senior Buyer, Lauren Kidd, were on hand this week to take delivery of the new machines at the company’s headquarters in Stirling. The two JCB excavators will be brought into service immediately to meet current high demand. Ogilvie’s teams are working on a range of projects across Scotland including new student accommodation, schools and hotels. “It is essential that our teams are properly equipped to deliver high quality buildings on time and budget for our clients. The new excavators are part of our continued investment in equipment and training to ensure that we consistently meet the high standards that our customers expect. Our on-site teams operate with over 150 hourly paid employees, rather than relying heavily on sub-contractors, with a total focus on quality.